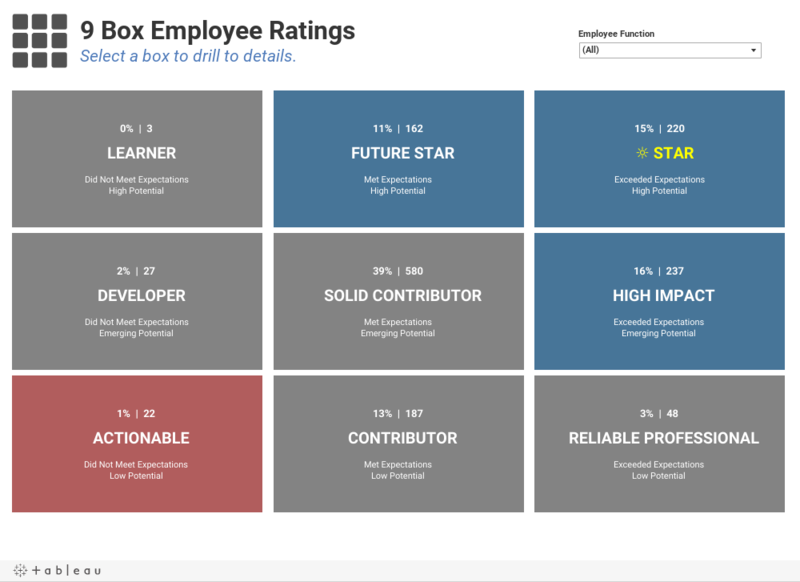 Decisive Data worked alongside the HR reporting team to redesign the classic 9 Box Ratings report. Leveraging visual best practices, Decisive Data used appropriate visual hierarchies and layered dashboards for detail giving the HR executives the ability to drill down by rating and department and see all relevant employee metrics and details. While organizations pay attention to different measures, there are usually employee-level metrics that help human resource professionals make the best decisions possible. A dynamic nine box like this one allows a human resources organization to focus on measures most important to them and their business.